Join us at UWCV for our happy hour from 3-7pm. This event is free to attend, with optional dinner for purchase available. 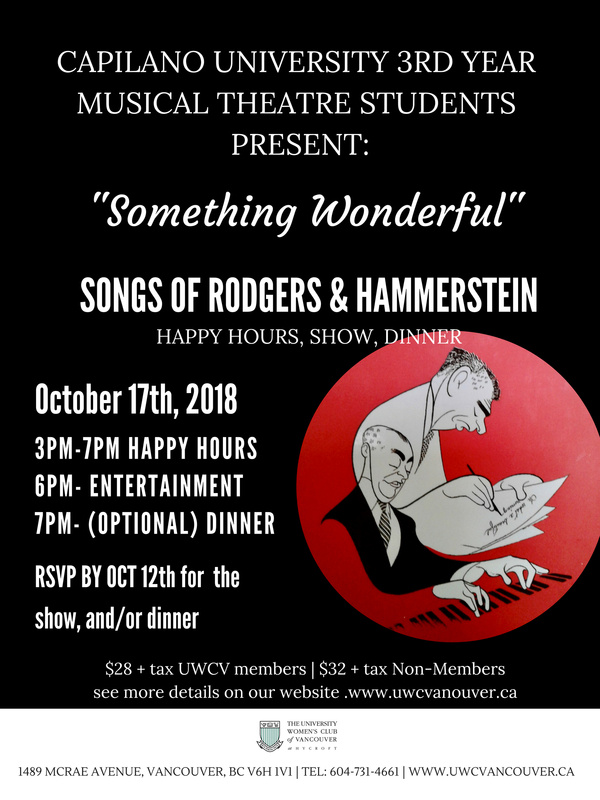 UWCV Members and their guests are welcome. 6 pm Free musical show from the 3rd year Students from Capilano University Music Program.